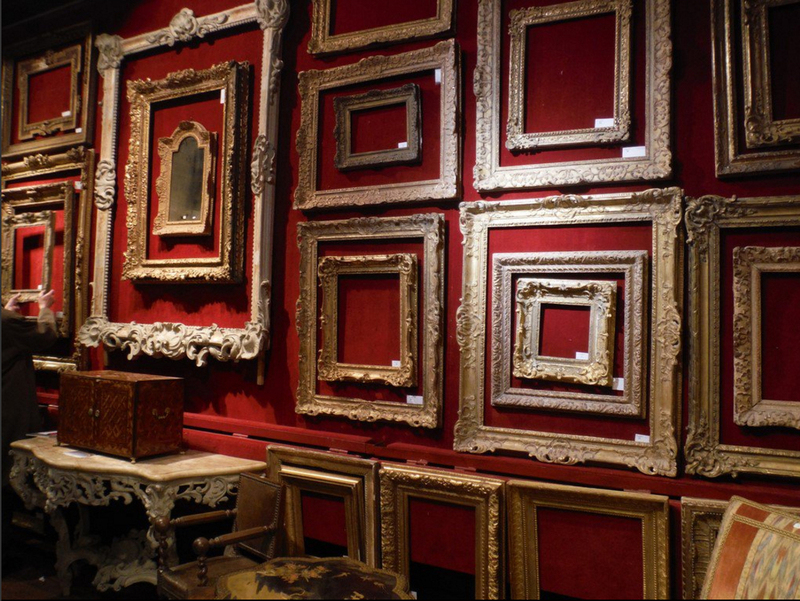 A sale will be held at Hôtel Drouot, salles 14 & 15, of – amongst other objects – 170 lots of antique picture frames from the collection of Jacques Goujon (1945-2014), the last member of a dynasty of restorers of giltwood furniture. The business was begun by Jacques Goujon’s great-uncle, Maurice Levoe, in 1918, and sited in the Faubourg Saint-Antoine in Paris. Maxime Goujon, nephew of Maurice Levoe and father of Jacques, worked there with his uncle before founding his own atelier, which eventually moved to the Villa de Guelma in the 18th arondissement. The villa had previously been the home of artists including Suzanne Valadon, Utrillo, and Raoul Dufy. The Atelier Goujon quickly established a reputation as one of the main restoration workshops of Paris, providing a service both for important private clients and for public institutions, most notably the Monuments Historiques. 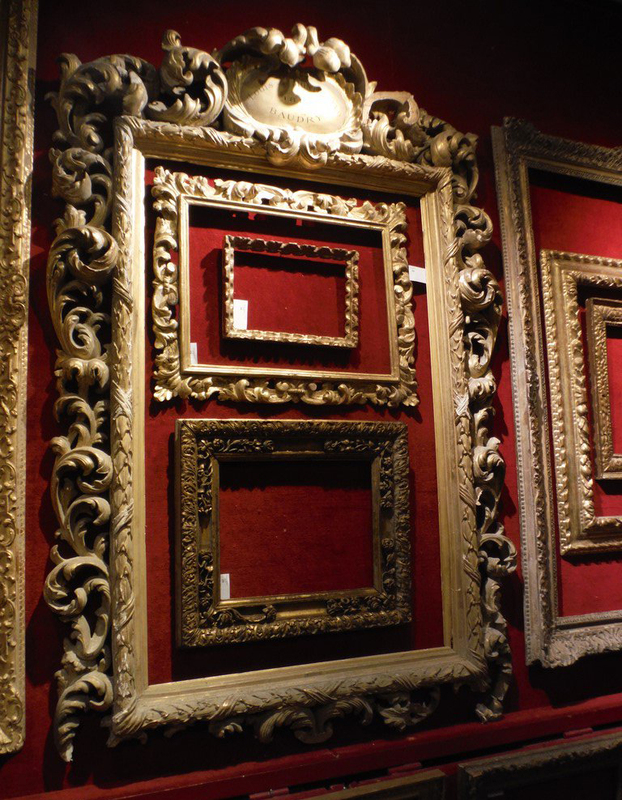 The sale of antique frames takes place from 11.00 am on Wednesday 17th February 2016; the catalogue is published as a pdf below.